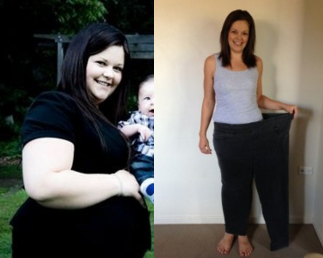 Meet Tara, a wonderful mother of 2 who once weighed in at 130kgs. After giving birth to her second child, she decided to make a change and embrace a healthier lifestyle via diet and exercise. After 2 years of hard work, discipline and determination, Tara reached her goal weight of 70kgs and felt fit, happy and healthy! However, although she felt great, Tara was left in the discomfort of excess skin around her stomach and breasts concealing her new and improved figure that she deserved to show off and be proud of. 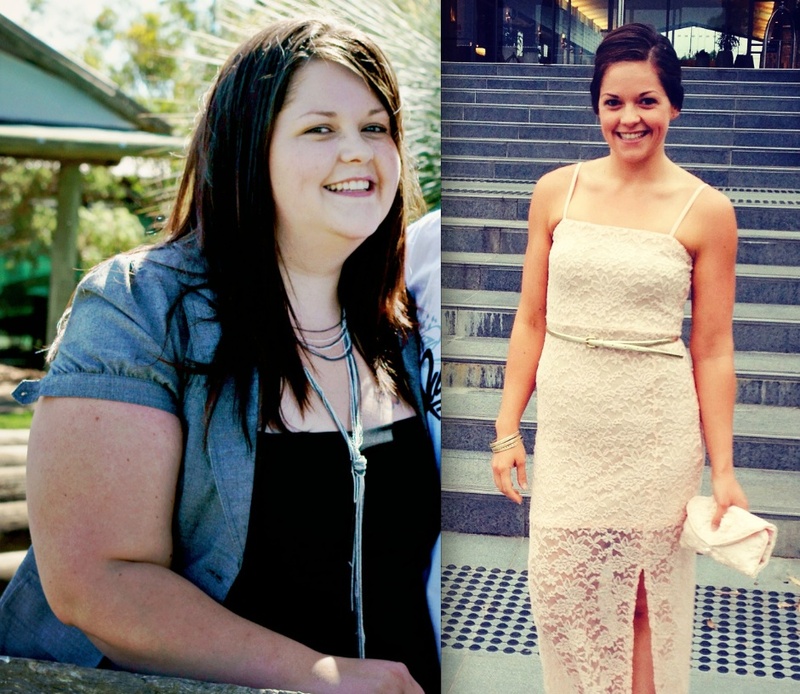 “I grew up as an overweight child, and became an obese adult. After the birth of my first child, I weighed in at a whopping 130 kg! I didn’t bother trying to lose weight as I knew I wanted another baby. 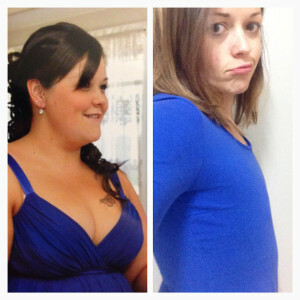 It wasn’t until I fell pregnant with my second child that I began to consider a drastic weight loss- as keeping up with my two year old runner was impossible. I was given the go ahead to begin regular physical activity from my GP about 6 weeks after the birth of my second child. It was game on! Luckily, I had dropped to 116 kg by this time after falling sick during my pregnancy. 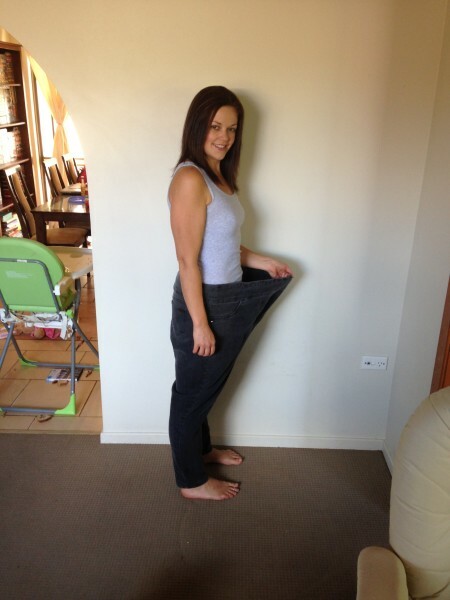 I started by walking for an hour a day, eating healthily and minimising my food intake. The weight just fell off like the sweat did. After about a year of hard work and determination, I reached my goal weight of 70kg. It was such an incredible feeling to be fit, healthy and happy. Although, after another year of continual cardio exercise and weight training, I realised I was left with a considerable amount of loose skin from the weight loss. The body that I looked at in the mirror didn’t match how young and fit I felt on the inside; and I would constantly cover my chest and stomach. I began to research having surgery to remove the skin, and to refill the once C-D breasts I had prior to weight loss. I was embarrassed to discuss what I was wanting to have done with anyone as I didn’t want to appear superficial and I had already had people say to me, “be happy with what you’ve worked for”. So I researched all I could online and over the phone. There were so many options. Do I go somewhere local? Interstate? Overseas?I sent off so many enquiries and searched websites from top to bottom looking at all the different options I had. After months of researching, I had enough of hiding my body. I had enough of tucking my stomach skin into my workout pants. I had enough of wearing 3 layers of bra padding to fill my top! I found CosMediTour online and managed to read so many positive reviews from past clients. I couldn’t really find fault in any client’s questions when I contacted them to ask. So I simply filled out an online enquiry and was contacted via phone for further information. 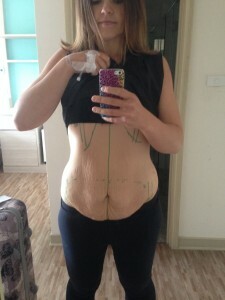 I bit the bullet and sent off photos of my “Before Surgery” body and before I knew it I had a response with a recommendation from Dr Worapong; a surgeon in Bangkok. I then researched Dr. Worapong to find his work was detailed and experienced and that was my decision made – TO BANGKOK IT IS! I didn’t really lift a finger with any preparation for my exciting holiday, just organised dates for flights and CosMediTour did the rest. From the moment I landed in Bangkok Airport, CosMediTour had organised everything. Transfers to the hospital, itinerary, Doctors appointments, surgery and after care. Then there was the AETAS Bangkok Hotel – it was absolutely stunning and relaxing, and the CosMediTour consultant, Mutsee, was a godsend. The nerves of being in a foreign country vanished once I realised just how good and capable the CosMediTour team and associates were. I ended up having a full Tummy Tuck and Breast Augmentation, going with Dr. Worapong’s recommendation of 375cc Round Dual Plane. With this I went from size 10AA to a size 10DD. Never will I regret the day that I contacted CosMediTour; because having surgery to remove the loose skin and fill my breasts has changed my life. One of the best decisions of my life. How do you put a price on feeling fit and feminine on the inside and out?